Best suited for individuals wanting coach training without the ICF certification mentoring/testing requirements. 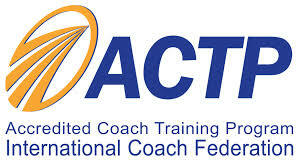 Best suited for individuals wanting coach training with the ICF certification mentoring/testing requirements. Life Coach certification. Best suited for individuals wanting coach training with the ICF certification mentoring/testing requirements and the added benefit of more personalized access to the facilitator outside the classroom. There is further benefit for personal growth from personal coaching sessions. Complete Life training experience. • 30 minute after-class debrief with facilitator. 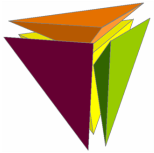 Ask any questions and get greater clarity from a facilitator in a more personal setting. Best suited for individuals wanting coach training with the ICF certification mentoring/testing requirements. Best suited for individuals wanting coach training with the ICF certification mentoring/testing requirements and the added benefit of more personalized access to a facilitator outside the classroom. There is further benefit for personal growth from personal coaching sessions. Complete Life Coach Training experience. • Personalized telephone support from your facilitator for the 10 weeks during your regular class. • Personalized email support from your facilitator for the 10 weeks during your regular class. • Personalized text support from your facilitator for the 10 weeks during your regular class.